Elemental Movement Workshops Coming Soon! Posted on December 8, 2017 by violetquartz | No Comments. Drawing on several modalities and perspectives to allow greater presence and awareness in embodied form. Learn to make sense of your somatic experience and deepen your relationship to your body, self, and soul. Explore movement, breath, and energy for a nourishing and revitalizing present moment. 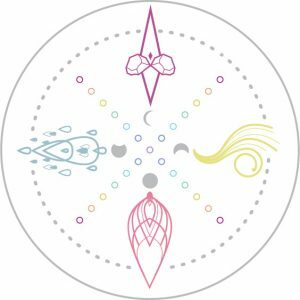 With a focus on the importance of rhythm and cycles in daily lives, and through the lens of the 5 elements explore various aspects structures and forms in the body-self in relation to those cycles. Each elemental class will provide a unique view and experience to which can be incorporated into any existing movement practice or training regime. All bodies welcome. Please email me to register. This entry was posted in Feature on Homepage by violetquartz. Bookmark the permalink.